Summer libations tend to orbit the icy, the fruity and the crystal clear. But bourbon, despite its toasty aroma and amber tint, can make a surprising turn as a warm weather nip. Tuthilltown Spirits, the Gardiner, New York--based micro whiskey distillery (one of a few nationwide), uses local grains to produce the spicy nectar. 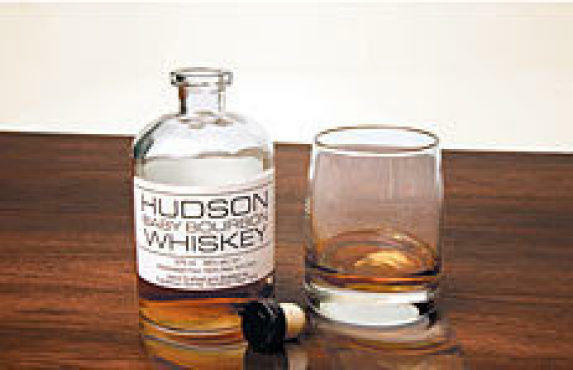 This month, they release their fourth batch of Hudson Baby Bourbon, so called for its brief aging period, single-grain origin and the squat bottle it comes in. Distilled from corn alone (rather than the traditional mash-up of corn, rye, malted barley and wheat), the heady sip sheds the cloying sweetness that defines so many of its blended counterparts. Aged for less than a year in small, charred American white-oak casks, the resulting spirit tastes spry, with a faint woodsy edge. Drink it at room temperature with a bit of water to unlock the caramel notes and mute the alcoholic finish. If you still prefer a pia colada in the summertime, the distiller's first rum hits stores in mid-June. Available for $39.99 at Astor Wines & Spirits, 399 Lafayette St at E 4th St (212-674-7500). For more information, visit tuthilltown.com.